Both indoor and outdoor play can be one of the best ways to strengthen gross motor skills. We regularly do various activities to keep fit. Shaunak learns gymnastics and karate moves at his preschool. At home we do basic stretching exercises, yoga asanas, games like 'get that to me', and he even accompanies me for Leslie walks. 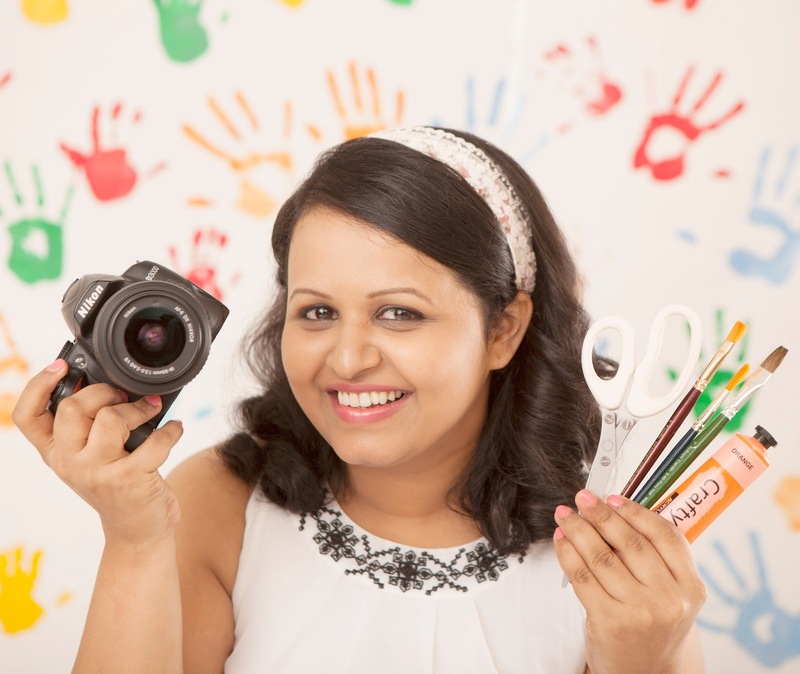 A child is always on its toes, physically active, moving around, and these interesting activities are a good add-on and make their play time even more joyful and fun. We are currently working on Transportation theme at home. I was searching for a vehicles themed gross motor activity and I found these amazing movement cards which made our play time very interesting. I downloaded these cards from Royalbaloo website. 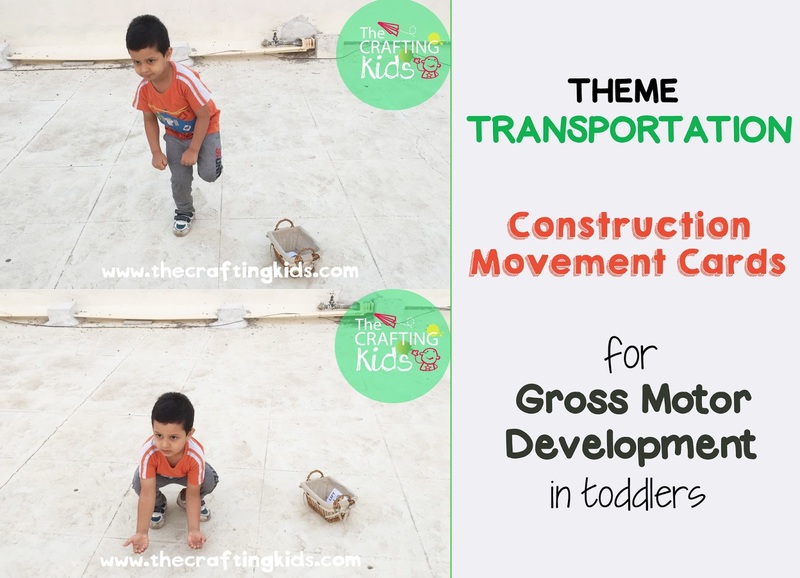 Here is the link: Construction vehicles themed movement cards. Also, watch this video to see Shaunak in action! Please subscribe to my YouTube channel to watch more such videos. A summer weekend afternoon and water, a match made in heaven! 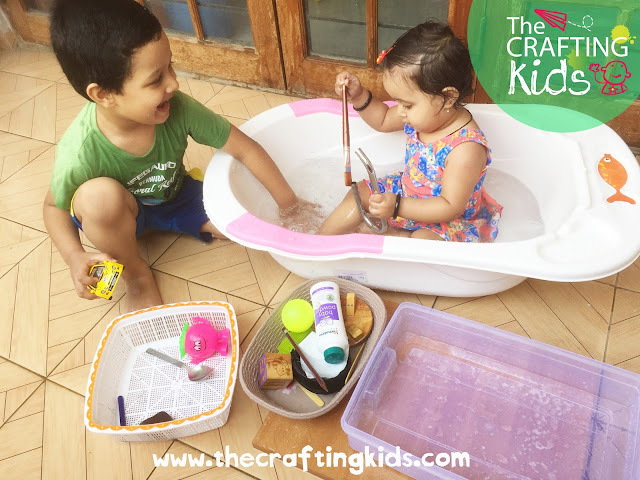 If its a water activity, the children get drawn and learning time becomes super fun. I arranged a bathtub and a basket with things that my children see around the house everyday and the task was to sort floating and sinking things. This activity was my first step towards introducing him the concept of buoyancy and how the air plays a role in it. This turned out to be not only a good activity for practicing critical thinking but also I could put both of them together, as I want them to have a large amount of exposure to one another, bonding time you see! 2. 20 things around the house, better if the child is familiar with them. 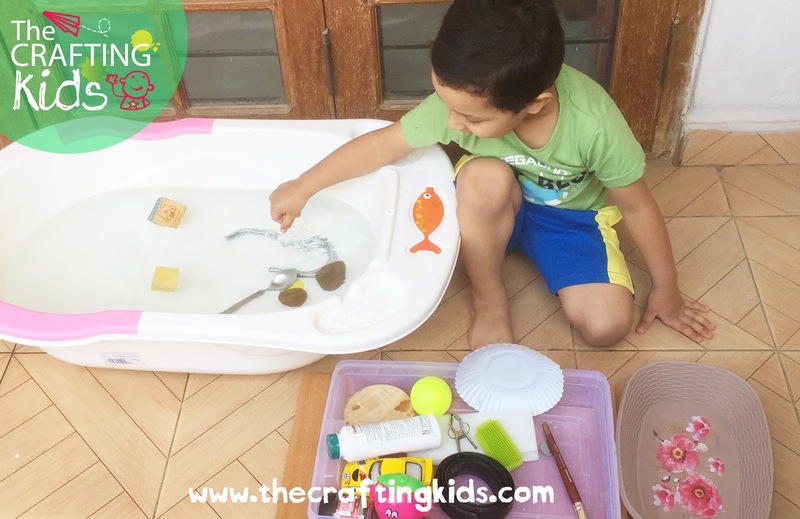 I chose things with different textures and materials and so it also turned out to be a good sensory activity for my little one. 1. Pour warm water into bathtub/bucket. 2. 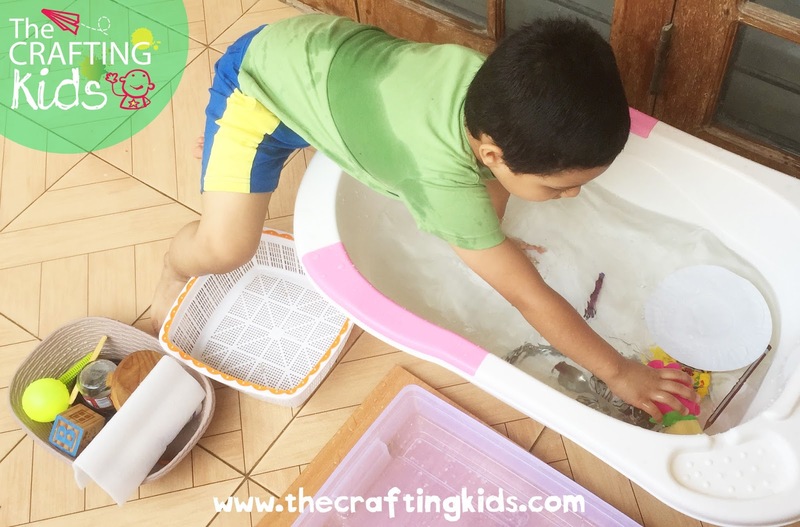 Give the basket to your child with 20+ things with different materials and textures and exaplain him what it is if he doesn't know about any. It's a good idea to choose things your child is familiar with. 3. Provide two more baskets to sort things that float and things which sink. 4. Let your child drop one thing at a time and carefully look if the thing floated or sinked. Continue doing this with all twenty things. 5. Once all the twenty things are dropped into the tub it is clearly visible which things float and which have sink to the bottom. 6. Ask your child to sort all the floating things in one basket. 7. And all the remaining things which sunk, can be put into another basket by your child. Many of us believe that heavy objects sink and lighter objects float. Point out that some heavy objects like leather belt float, while relatively lighter objects such as coins sink. 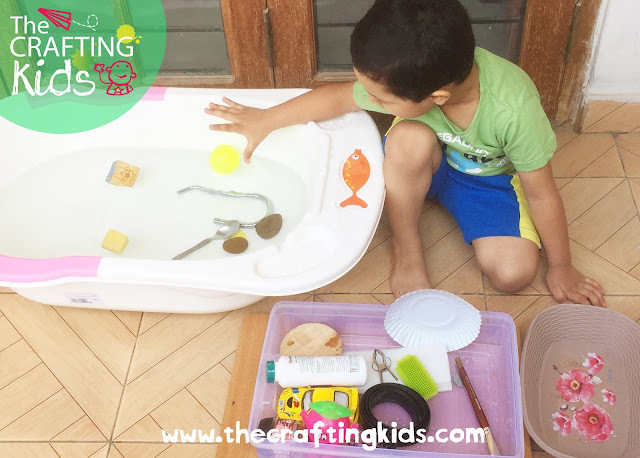 Help your child to think why objects sink and float. Encourage them to make comparisons and connections. Such experiments get wired into little children's' brains. 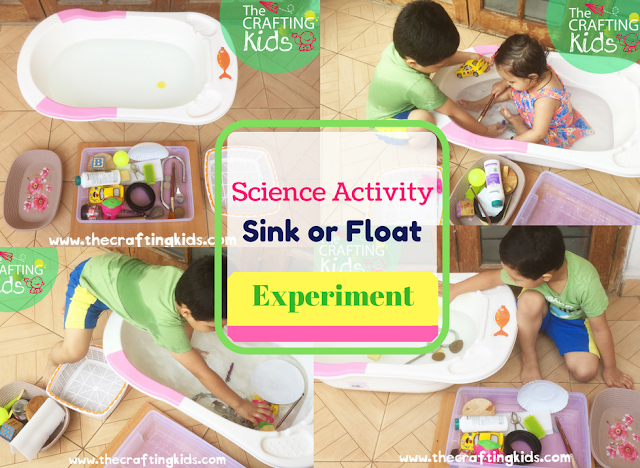 Below is a video, my children in action, doing the float or sink science activity. Please subscribe to my YouTube channel for more videos. And please do a thumbs up if you like this video! 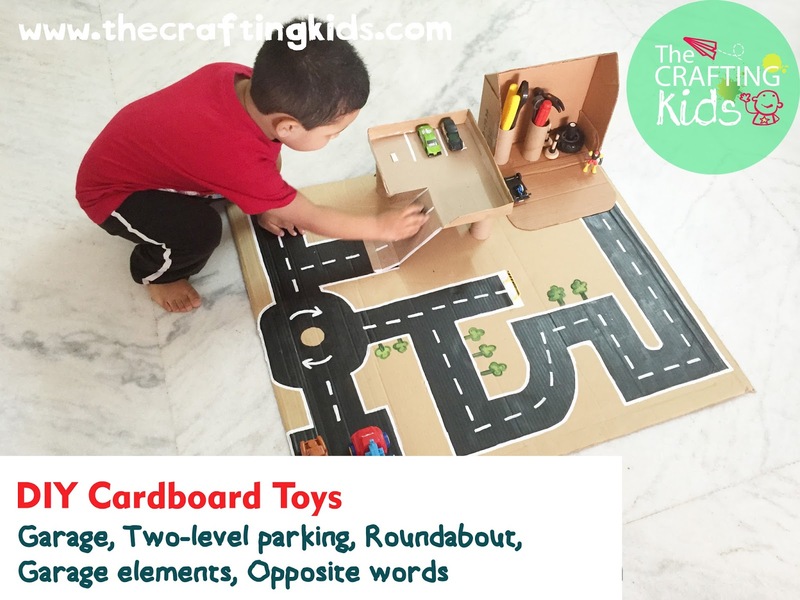 Hope you have a good time doing this activity and lovely summer afternoons with your little buds!